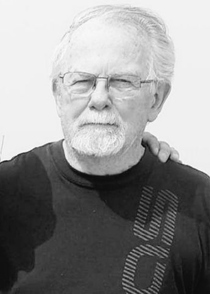 Obituary for Gerald "Wayne" Severs | Adams Funeral Home Ltd.
G. Wayne Severs, husband of Linda (Brackett) Severs of Miramichi and formerly of Ontario passed away at the Miramichi Regional Hospital on Thursday, March 14, 2019 at the age of 72. Born in Bowmanville, ON, on August 28, 1946, he was the son of the late Charlie and Irene (Graham) Severs. He was an electrician at General Motors for many years and was a member of the Masonic Lodge. Wayne is survived by his wife Linda (Brackett) Severs; two children: Stephanie of Bowmanville, ON and Justin of Courtice, ON; four step-children: Katie, Wayne, Scott and Keith all of Oshawa, ON; 12 grandchildren. As per Wayne’s request there will be no visitation or funeral service held. Interment will be held at a later date.